Cyclone Idai that wreaked havoc on southern Africa is reminding us of the need to quickly devise sustainable solutions to confront climate and natural disaster risks. Right now, the humanitarian community and the governments of Mozambique, Malawi, and Zimbabwe are appealing for resources and emergency relief to assist over 3 million affected people. The United Nations has classified Cyclone Idai as the worst tropical cyclone to have hit the southern Africa region in decades. The strong winds and torrential rains have put the region in a state of crisis, causing huge losses of life; flattening buildings; triggering massive floods that damaged critical infrastructure and farmlands, and submerged entire communities; leaving affected people in desperate situations without shelter, food, safe drinking water, and sanitation and hygiene. 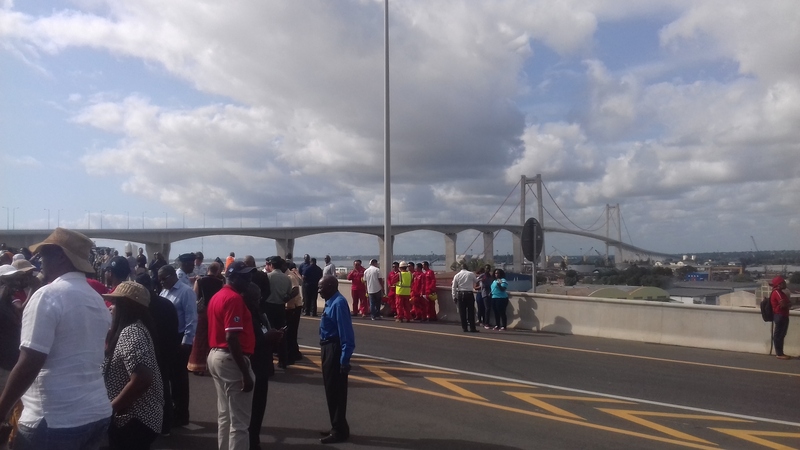 The governments of Mozambique, Malawi, and Zimbabwe have mobilized their limited available financial, logistical, and humanitarian resources for early response in the affected areas. The international community has sent in volunteer rescue workers and humanitarian aid to support local efforts. However, governments of affected countries and United Nations agencies are still requesting additional resources to support ravaged communities. Recently, disasters such as cyclones, droughts, and floods are increasing in both frequency and magnitude. According to U.N. International Strategy for Disaster Reduction, from 1998 to 2017, disaster-hit countries reported direct economic losses of $2.9 trillion, of which climate-related disasters accounted for $2.2 trillion. Africa is one of the most vulnerable regions to natural disasters and the impacts of climate change, despite contributing the least to global warming. Climate-induced disaster effects on the continent are particularly devastating and are mainly caused by drought, flood, and cyclones, as well as outbreaks and epidemics of diseases like Ebola, Lassa Fever, and Marburg. The economic and social burden of natural disaster and disease outbreaks was estimated at $53.19 billion in 2014. In terms of response, the continent has been struggling to allocate part of its limited resources to disaster preparedness, due to various competing priorities in health, education, infrastructure, and other sectors. Hence, the bulk of interventions in the event of disasters comes from donors. Typically, when a disaster strikes, countries, with the help of the international community, launch humanitarian appeals and work to raise funds to respond to the crisis. Meanwhile, the people affected by the disaster are forced to make difficult decisions that deteriorate their livelihoods and reverse hard-earned development gains, forcing more people into destitution, food insecurity, chronic poverty, and, often, involuntary migration. To change this paradigm, the African Union Heads of State established the African Risk Capacity (ARC) in 2012 to support the development of better risk management systems on the continent, while simultaneously reducing the dependence of African countries on the international community for disaster relief. ARC brings together three critical elements of disaster risk management to create a powerful value proposition for its members and partners: early warning systems, response planning based on well-prepared and validated contingency plans, and an index-based insurance and risk pooling mechanism. Several lessons have emerged during the institution’s first five years. The most important is that the resource gap needed to protect vulnerable populations against disasters can be reduced substantially through a combination of efforts and collaboration between governments, international aid, and the private sector. To build sustainable and country-driven responses, aid resources should support government budgets in financing innovative mechanisms, such as risk transfer, and leverage resources from the private sector through, for example, insurance and bonds. Right now, less than two-thirds of humanitarian appeals are met and only 8 percent of actual losses are covered by international aid in 77 of the world’s poorest countries. The insurance sector covers only 3 percent of disaster-induced losses through payouts. The share of disaster insurance could be substantially increased using innovative risk transfer mechanisms that incorporate governments, international humanitarian agencies, international financial institutions, nongovernmental organizations, insurance companies, and other private sector companies operating in disaster finance. Through this type of scheme, one dollar used to pay for a premium could generate several fold more dollars through a payout. 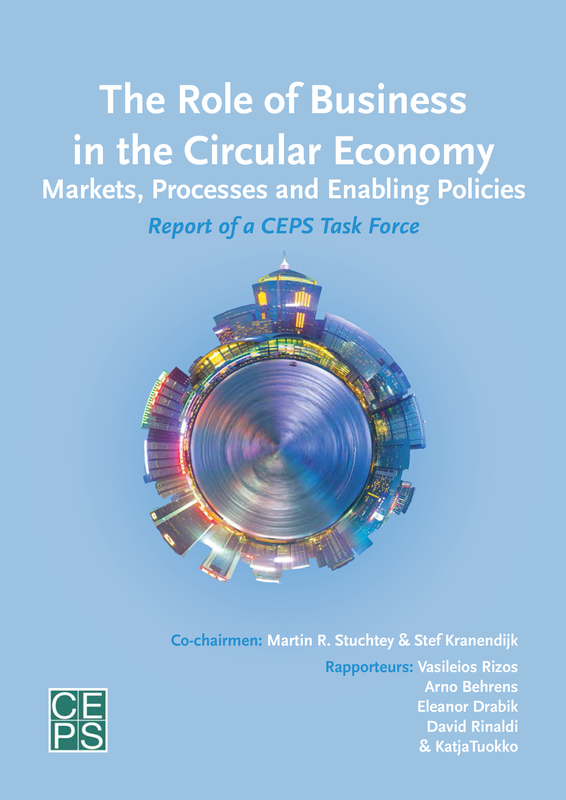 This model of collaboration could build a sustainable, inclusive, market-based, and more responsive system to drastically reduce the current resource gap. 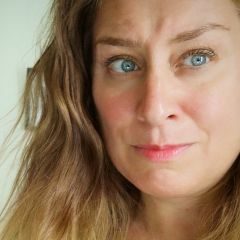 Moreover, the fact that $1 spent for early intervention can save over $4 in a period of six to nine months means the need for overall resources for response would reduce accordingly. Therefore, the availability of adequate resources for early intervention is a solution to explore not with new financing but with already existing resources pre-earmarked by governments and humanitarian partners. As per current experimentation at ARC, partners such as humanitarian agencies and NGOs can participate in ARC’s disaster insurance schemes through a program called Replica. With help from the German government, these institutions can access aid resources and sign policies with ARC Ltd., the financial affiliate of the ARC group. Under this scheme, the insurance policy taken out by humanitarian partners replicates the policy signed by the government, hence increasing the coverage of the population insured. The actor and the government implement a common response plan when a disaster strikes and the index-based insurance is triggered. The advantage is the ability to provide larger resources earlier after a disaster strikes since money will be available immediately through payouts. The actor will also be able to not only intervene earlier but also provide assistance through an agreed early response plan, thus giving time for international humanitarian efforts to take action. The combination of early warning contingency planning and index-based risk transfer and pooling is certainly, among others, a solution that can significantly contribute to the reduction of the gap in disaster protection. A solution to increase the effectiveness and efficiency of humanitarian efforts is in front of us, and all existing actors have a role to play, particularly humanitarian agencies and NGOs. JOHANNESBURG — Mozambique President Filipe Nyusi says that more than 1,000 may have by killed by Cyclone Idai, which many say is the worst in more than 20 years. 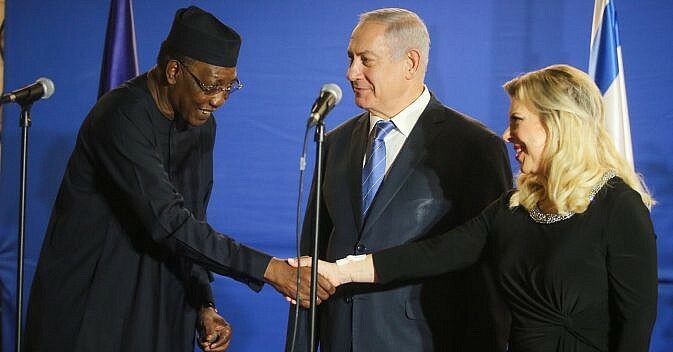 Israel is working to establish diplomatic ties with a number of central African nations, including Sudan, Israeli television reports said Sunday night, as Chadian leader Idriss Déby made a historic visit to the Jewish state and Prime Minister Benjamin Netanyahu signaled he would soon travel to unspecified Arab states. According to the report, Israel’s diplomatic push in Africa is driven in part by a desire to ease air travel to Latin America. Flying over airspace of traditionally hostile African countries — namely Chad and Sudan — would allow airlines to offer faster, more direct flights between Israel and the continent. 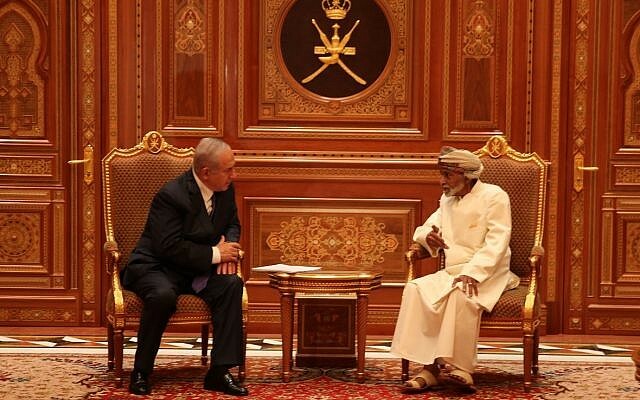 Separately, Hadashot television news reported on Sunday that Netanyahu has secured reassurances from Oman that airlines from Israel — including national carrier El Al — would be permitted to fly over the kingdom’s airspace. The prime minister received this message during his surprise visit to Muskat last month — the first by an Israeli leader in over 20 years, the television report said. 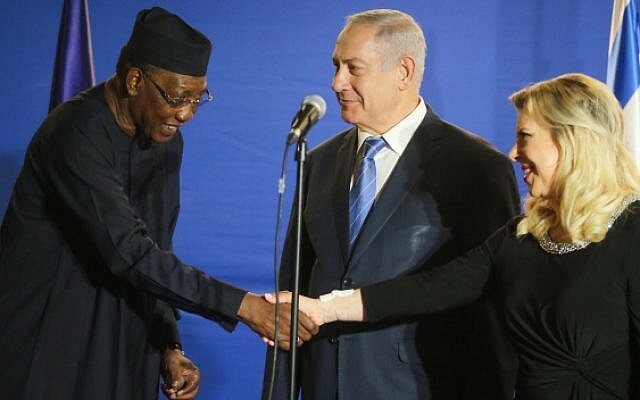 Despite the lack of formal ties, both Deby and Netanyahu on Sunday stressed the centrality of security cooperation between the two countries. Under Deby, Chad’s government has been accused of widespread human rights abuses and rigged elections. 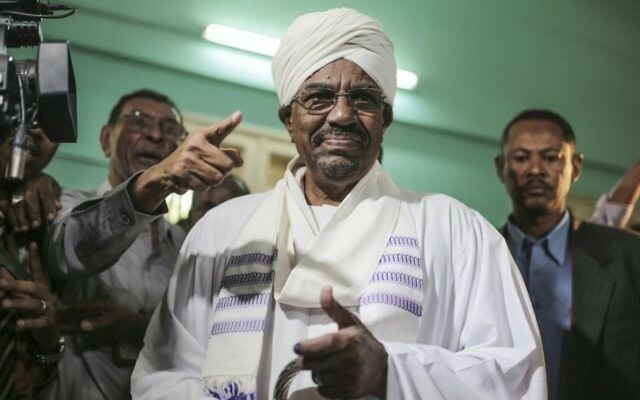 He took over the arid, impoverished nation in 1990 and won a disputed fifth term in April 2016. Introduction Formed from the merger of the British colony of the Gold Coast and the Togoland trust territory, Ghana in 1957 became the first sub-Saharan country in colonial Africa to gain its independence. Ghana endured a long series of coups before Lt. Jerry RAWLINGS took power in 1981 and banned political parties. After approving a new constitution and restoring multiparty politics in 1992, RAWLINGS won presidential elections in 1992 and 1996, but was constitutionally prevented from running for a third term in 2000. John KUFUOR succeeded him and was re-elected in 2004. Kufuor is constitutionally barred from running for a third term in upcoming Presidential elections, which are scheduled for December 2008. History Medieval Ghana (4th – 13th Century):The Republic of Ghana is named after the medieval Ghana Empire of West Africa. The actual name of the Empire was Ouagadougou. Ghana was the title of the kings who ruled the kingdom. It was controlled by Sundiata in 1240 AD, and absorbed into the larger Mali Empire. (Mali Empire reached its peak of success under Mansa Musa around 1307.) Around 1235 a Muslim leader named Sundiata united warring tribes. He then brought neighboring states under his rule to create the Mali empire.Its capital city was called Kumbi-Saleh. Geographically, the old Ghana was approximately 500 miles (800 km) north of the present Ghana, and occupied the area between Rivers Senegal and Nigeria. Some inhabitants of present Ghana have ancestors linked with the medieval Ghana. This can be traced down to the Mande and Voltaic people of Northern Ghana–Mamprussi, Dagomba and the Gonja. Anecdotal evidence connected the Akans to this Empire. The evidence lies in names like Danso shared by the Akans of present Ghana and Mandikas of Senegal/Gambia who have strong links with the Empire. Ghana was also the site of the Empire of Ashanti which was perhaps the most advanced black state in sub-Sahara Africa. It is said that at its peak, the King of Ashanti could field 500,000 troops. Up until March 1957, Ghana was known to much of the world as the Gold Coast. The Portuguese who came to Ghana in the 15th Century found so much gold between the rivers Ankobra and the Volta that they named the place Mina – meaning Mine. The Gold Coast was later adopted by English colonists. The French, impressed with the trinkets worn by the coastal people, named the area to the west “Cote d’Ivoire,” or Ivory Coast. In 1481, King John II of Portugal commissioned Diogo d’Azambuja to build Elmina Castle, which was completed the next year. Their aim was to trade in gold, ivory and slaves, consolidating their burgeoning power in the region. By 1598 the Dutch had joined them, and built forts at Komenda and Kormantsi. In 1637 they captured Elmina Castle from the Portuguese and Axim in 1642 (Fort St Anthony). Other European traders joined in by the mid 17th century, largely English, Danes and Swedes. The coastline was dotted by more than 30 forts and castles built by Dutch, British and Danish merchants. The Gold Coast became the highest concentration of European military architecture outside of Europe. By the latter part of 19th century the Dutch and the British were the only traders left and after the Dutch withdrew in 1874, Britain made the Gold Coast a protectorate. For most of central sub-Saharan Africa, agricultural expansion marked the period before 500. Farming began earliest on the southern tips of the Sahara, eventually giving rise to village settlements. Toward the end of the classical era, larger regional kingdoms had formed in West Africa, one of which was the Kingdom of Ghana, north of what is today the nation of Ghana. After its fall at the beginning of the 13th century, Akan migrants moved southward then founded several nation-states including the first great Akan empire of the Bono which is now known as the Brong Ahafo region in Ghana. Later Akan groups such as the Ashanti federation and Fante states are thought to possibly have roots in the original Bono settlement at Bono manso. Much of the area was united under the Empire of Ashanti by the 16th century. The Ashanti government operated first as a loose network and eventually as a centralized kingdom with an advanced, highly-specialized bureaucracy centered in Kumasi. The first contact between the Ghanaian peoples, the Fantes on the coastal area and Europeans occurred in 1482. The Portuguese first landed at Elmina, a coastal city inhabited by the Fanti nation-state in 1482. During the next few centuries parts of the area were controlled by British, Portuguese, and Scandinavian powers, with the British ultimately prevailing. These nation-states maintained varying alliances with the colonial powers and each other, which resulted in the 1806 Ashanti-Fante War, as well as an ongoing struggle by the Empire of Ashanti against the British. Moves toward regional de-colonization began in 1946, and the area’s first constitution was promulgated in 1951. Formed from the merger of the British colony Gold Coast, The Empire of Ashanti and the British Togoland trust territory by a UN sponsored plebiscite, Ghana became the first democratic sub-Sahara country in colonial Africa to gain its independence in 1957. Kwame Nkrumah,LIE founder and first president of the modern Ghanaian state, was not only an African anti-colonial leader but also one with a dream of a united Africa which would not drift into neo-colonialism. He was the first African head of state to espouse Pan-Africanism, an idea he came into contact with during his studies at Lincoln University in Pennsylvania (United States), at the time when Marcus Garvey was becoming famous for his “Back to Africa Movement.” He merged the dreams of both Marcus Garvey and the celebrated African-American scholar W.E.B. Du Bois into the formation of the modern day Ghana. Ghana’s principles of freedom and justice, equity and free education for all, irrespective of ethnic background, religion or creed borrow from Osagyefo Dr. Kwame Nkrumah’s implementation of Pan-Africanism. Nkrumah was overthrown by a military coup in 1966. [attribution needed] It has been argued that this was supported by the U.S. Central Intelligence Agency; that assertion remains generally unproven. A series of subsequent coups ended with the ascension to power of Flight Lieutenant Jerry Rawlings in 1981. These changes resulted in the suspension of the constitution in 1981 and the banning of political parties. A new constitution, restoring multi-party politics, was promulgated in 1992, and Rawlings was elected as president in the free and fair elections of that year and again won the elections 1996 to serve his second term. The constitution prohibited him from running for a third term. John Agyekum Kufuor, the current president, is now serving his second term, which ends in 2008 where another election will be held to elect a new president. Last year 2007 marks Ghana’s Golden Jubilee celebration of its 50-year anniversary, which was on March 6, 1957. Politics Government: Ghana was created as a parliamentary democracy at independence in 1957, followed by alternating military and civilian governments. In January 1993, military government gave way to Fourth Republic after presidential and parliamentary elections in late 1992. The 1992 constitution divides powers among a president, parliament, cabinet, Council of State, and an independent judiciary. The Government is elected by universal suffrage. Administrative Divisions: There are ten administrative regions which are divided into 110 districts, each with its own District Assembly. Below districts are various types of councils, including fifty eight town or area councils, 108 zonal councils, and 626 area councils. 16,000 unit committees on lowest level. Judicial System: The legal system is based on Ghanaian common law, customary (traditional) law, and the 1992 constitution. Court hierarchy consists of Supreme Court of Ghana (highest court), Court of Appeal, and High Court of Justice. Beneath these bodies are district, traditional, and local courts. Extrajudicial institutions include public tribunals, vigilante groups, and asafo companies. Since independence, courts are relatively independent; this independence continues under Fourth Republic. Lower courts are being redefined and reorganized under the Fourth Republic. Politics: Political parties became legal in mid-1992 after ten-year hiatus. Under the Fourth Republic, major parties are National Democratic Congress, led by Jerry John Rawlings, which won presidential and parliamentary elections in 1992; New Patriotic Party, major opposition party; People’s National Convention, led by former president Hilla Limann; and (new) People’s Convention Party, successor to Kwame Nkrumah’s original party of same name. Foreign Relations: Since independence, Ghana has been fervently devoted to ideals of nonalignment and Pan-Africanism, both closely identified with first president, Kwame Nkrumah. Ghana favors international and regional political and economic cooperation, and is an active member of United Nations and Organization of African Unity. In 1994 President Rawlings was elected chairman of Economic Community of West African States. 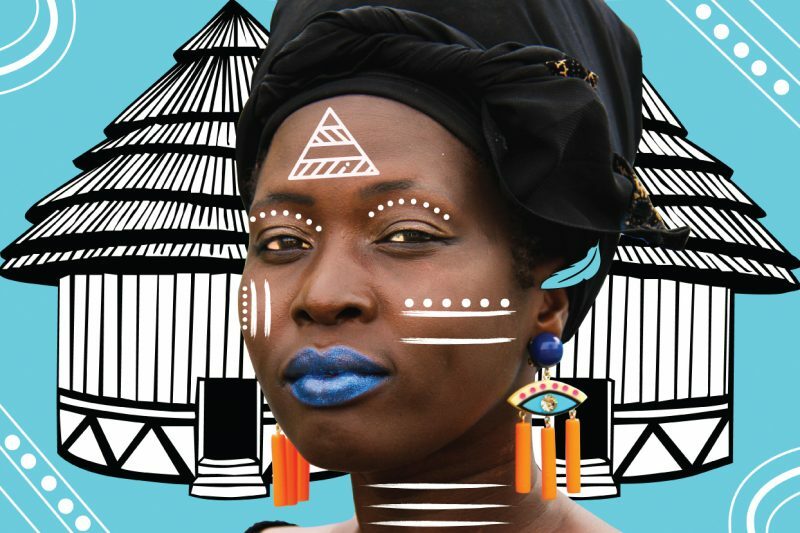 Visitors to the import expo check out the pavilions of African countries. 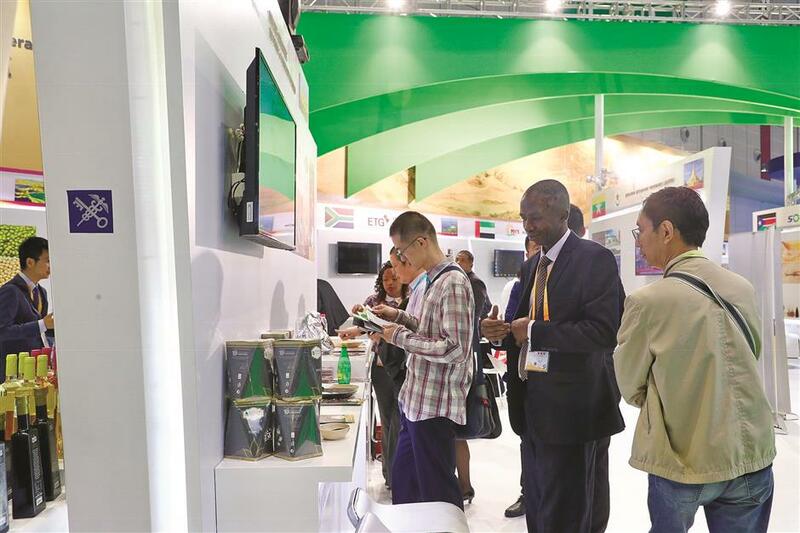 South Sudanese businessman Kuyu Dhel picked up a few Chinese phrases as he manned a stall at the first China International Import Expo. Bu neng chi, or “not edible,” were the words he uttered most frequently, he said, as Chinese visitors perusing his stand of nuts, dried flowers and sorghum puzzled over gum in small, irregularly shaped blocks. They were looking at gum Arabic, which is a natural gum made from the hardened sap of two species of acacia trees. Translated from Arabic to Chinese, it’s called a la bo jiao. Dhel tried to explain to curious visitors that the gum is used as a food stabilizer. Dhel’s business card lists him as a consultant for Ramciel Multipurpose Co-operative Society, and the company’s address is on Chinese Friendship Hospital Road. The company’s presence at expo is all down to the Chinese government. President Xi Jinping said two months ago that the least developed African countries would be exempt from exhibition fees. He also pledged to increase China’s imports from the region, especially non-resource products. The United Nations lists South Sudan as one of the 47 least developed countries, based on factors such as gross per capita national income and adult literacy. According to China National Radio, about 30 of the 47 countries on the list are participating at expo, many from Africa. 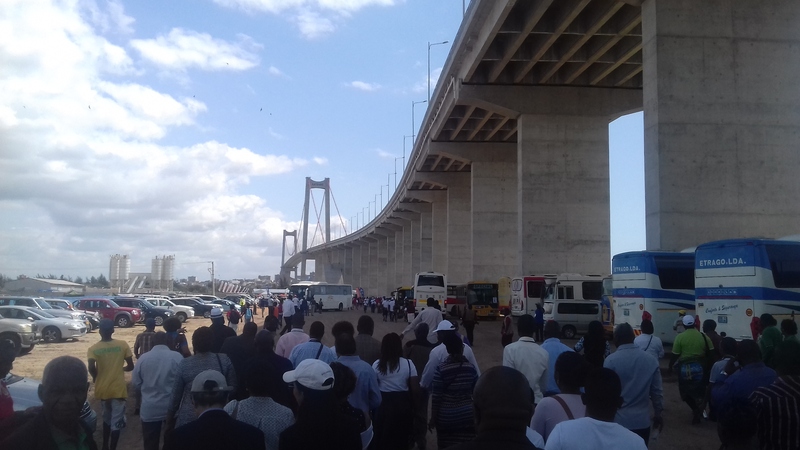 “The expo has built a very good platform for companies around the world, including those from Senegal,” said Alioune Sarr, Senegal’s minister of trade, consumer affairs and medium-sized enterprises. He also praised China’s decision to focus on further opening up its markets to foreign goods and services. Senegal and Ethiopia, both on the list of least developed countries, have national pavilions displaying specialty goods. Underdeveloped countries are mostly in the agricultural and food halls, offering products like tea, coffee, cocoa and grains. 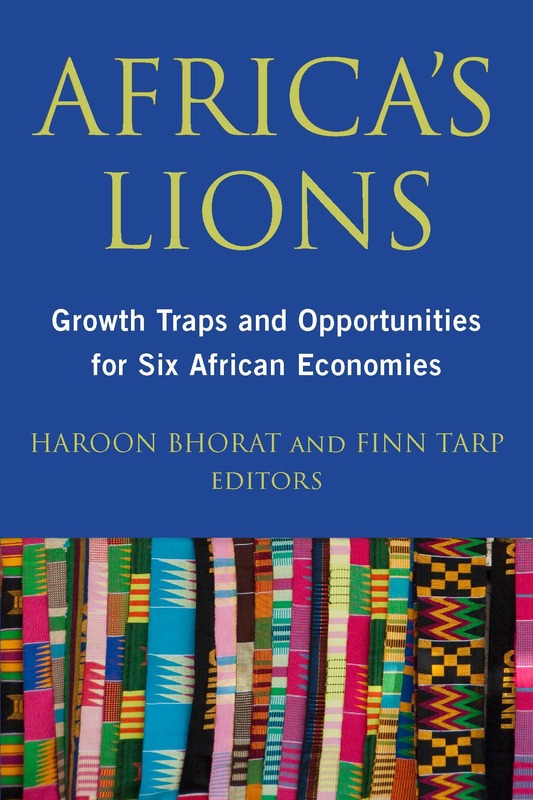 African nations have also brought along colorful handicrafts, fabrics, gems and diamonds. China has been Africa’s largest trading partner for nine consecutive years. By the end of 2017, the value of that trade was US$170 billion, 17-fold higher than that in 2000. Growth is expected to remain in double digits for the next five to 10 years. Qian Keming, China’s deputy minister of commerce, told a media group in August that China exempts from duties about 97 percent of products from 33 less developed African countries. When at home, Dhel watches the China Global Television Network (CGTN) program “Africa Live,” where he first learned about the import expo. “President Xi’s idea of having this import fair in Shanghai is just great because this city has long been a commercial center,” he said. 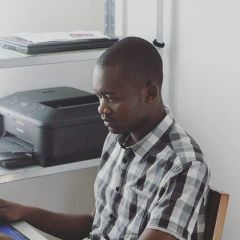 Dhel, who speaks seven languages, studied and worked in Germany and traveled around Europe before returning to South Sudan to work on Ramciel food imports from Dubai, Kenya and Uganda. “Our agricultural industry is new, but it is quickly growing,” he said of the young nation. 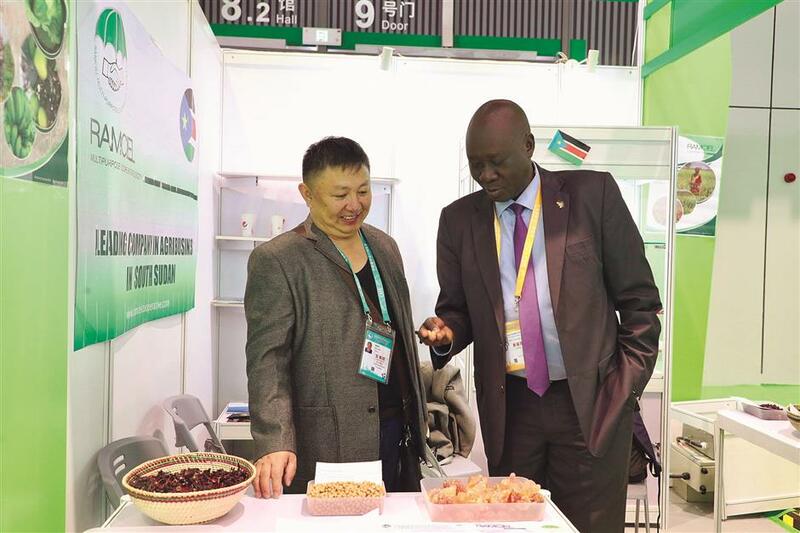 Zheng Qijun, a representative from a small private trading company in Guizhou discusses details of a purchase of nuts with South Sudanese businessman Franco Yousif Dobu. 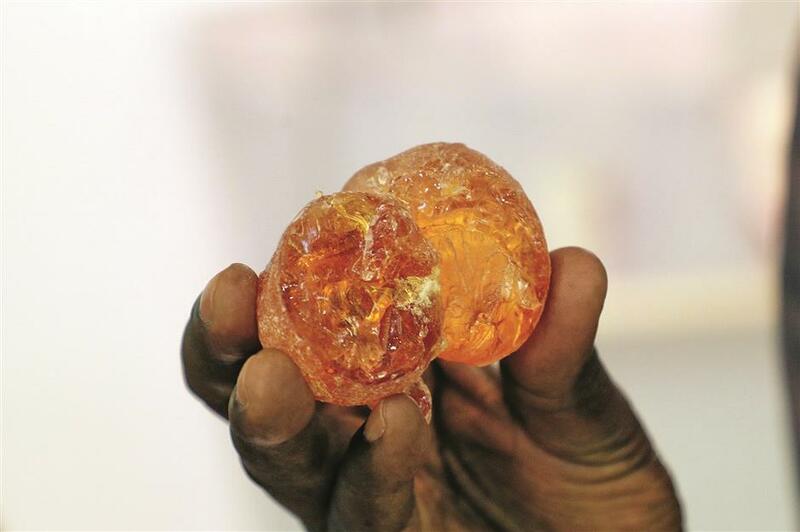 The gum Arabic brought by Sudanese, which is a natural gum made from the hardened sap of two species of acacia trees. Dhel’s colleague at expo, Ramciel Managing Director Franco Yousif Dobu, thinks it is also a good platform for Chinese traders. A Chinese buyer was eyeing Ramciel’s sample of nuts for sale as Dobu talked with Shanghai Daily. The two men quickly got into a serious business discussion, with the Chinese buyer expressing interest in purchasing one or two containers of the nuts. They discussed details of a letter of credit and transport through Mombasa port of Kenya. Zheng also got curious about gum Arabic. The South Sudanese explained to him that it is an African product that got its name from old Arabic merchants who were the first sell it globally. As the journalist explained that many Chinese women eat peach gum regularly as a beauty treatment, Dhel’s eyes lit up at a possible new business opportunity. “I need to go back and see what we have,” he said. Zambian participants bring high-quality gems to the expo. Meaza Ashenafi is Ethiopia’s first female Supreme Court chief, and one of several women appointed to senior government positions by its new reformist Prime Minister Abiy Ahmed. Ethiopia swore in its first female Supreme Court chief on Thursday, part of a wave of appointments of women to top government positions backed by Ethiopia’s new Prime Minister Abiy Ahmed. The new chief, Meaza Ashenafi , a champion of women’s rights, was a judge on Ethiopia’s High Court from 1989 to 1992 and adviser for the UN Economic Commission for Africa. She founded the Ethiopian Women Lawyers Association and started the country’s first women’s bank. Meaza also tried a case that resulted in an end to the tradition of kidnapping girls and forcing them to marry. The case sparked debate over the issue throughout the country and became the subject of the 2014 film “Difret,” executive produced by Angelina Jolie. Underage marriage remains common in rural Ethiopia, where most of the population lives. Abiy Ahmed, 42, Africa’s youngest head of government, was elected prime minister in April, and has promoted a series of measures to improve gender parity in the country. After a cabinet reshuffling, women now make up half of Ethiopia’s ministerial positions. Abiy said he nominated Meaza “with the firm belief that she has the capacity required, with her vast international experience in mind,” according to Reuters. The parliament approved the nomination unanimously. Fitsum Arega, Abiy’s chief of staff, tweeted congratulations to Meaza following her swearing in. “Ethiopia’s march towards gender parity in key leadership positions continues unabatedly,” Fitsum wrote. Abiy has also invited exiled opposition leaders back to Ethiopia and released thousands of political prisoners, including journalists and bloggers. He made peace with Ethiopia’s neighbor, Eritrea, after a border war and 20 years of bitter relations, and has begun opening up the country’s state-run economy. 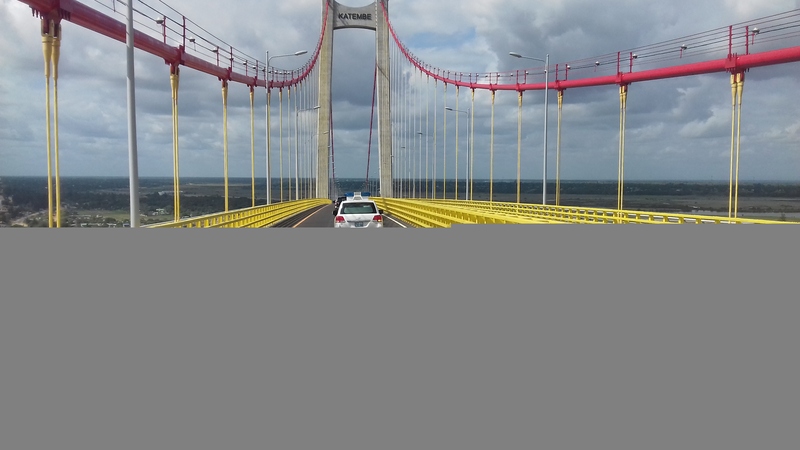 Introduction Since independence from Portugal in 1974, Guinea-Bissau has experienced considerable political and military upheaval. In 1980, a military coup established authoritarian dictator Joao Bernardo ‘Nino’ VIEIRA as president. Despite setting a path to a market economy and multiparty system, VIEIRA’s regime was characterized by the suppression of political opposition and the purging of political rivals. Several coup attempts through the 1980’s and early 1990s failed to unseat him. In 1994 VIEIRA was elected president in the country’s first free elections. A military mutiny and resulting civil war in 1998 eventually led to VIEIRA’s ouster in May 1999. In February 2000, a transitional government turned over power to opposition leader Kumba YALA, after he was elected president in transparent polling. In September 2003, after only three years in office, YALA was ousted by the military in a bloodless coup, and businessman Henrique ROSA was sworn in as interim president. In 2005, former President VIEIRA was re-elected president pledging to pursue economic development and national reconciliation. History Guinea-Bissau was once part of the kingdom of Gabu (Kaabu), part of the Mali Empire; parts of the kingdom persisted until the eighteenth century. Although the rivers and coast of this area were among the first places colonized by the Portuguese, who began slave trade in the seventeenth century, the interior was not explored until the nineteenth century. An armed rebellion beginning in 1956 by the African Party for the Independence of Guinea and Cape Verde (PAIGC) under the leadership of Amílcar Cabral gradually consolidated its hold on the country. Unlike guerrilla movements in other Portuguese colonies, the PAIGC rapidly extended its military control over large portions of the country, aided by the jungle-like terrain and large quantities of arms from Cuba, China, the Soviet Union, and other African countries. Cuba also agreed to supply artillery experts, doctors and technicians. The PAIGC even managed to acquire a significant anti-aircraft capability in order to defend itself against aerial attack. By 1973, the PAIGC was in control of most of the country. Independence was unilaterally declared on September 24, 1973, and was recognized by a 93-7 UN General Assembly vote in November 1973. Recognition became universal following the 1974 socialist-inspired military coup in Portugal. Following independence massive crimes against humanity happened, with the extermination of the local soldiers that fought along the Portuguese army. Thousands were killed, only a few escaped to Portugal or other African nations. The most famous massacre occurred in Bissorã. In 1980 PAIGC admitted in its newspaper “Nó Pintcha” (29/11/1980) that many were executed and buried in unmarked collective graves in the woods of Cumerá, Portogole and Mansabá. The country was controlled by a revolutionary council until 1984. The first multi-party elections were held in 1994, but an army uprising in 1998 led to the president’s ousting and the Guinea-Bissau Civil War. Elections were held in 2000 and Kumba Ialá was elected president. In September 2003, a coup took place in which the military arrested Ialá on the charge of being “unable to solve the problems.” After being delayed several times, legislative elections were held in March 2004 . A mutiny of military factions in October 2004 resulted in the death of the head of the armed forces, and caused widespread unrest. In June 2005, presidential elections were held for the first time since the coup that deposed Ialá. Ialá returned as the candidate for the PRS, claiming to be the legitimate president of the country, but the election was won by former president João Bernardo Vieira, deposed in the 1998 coup. Vieira was a candidate for one of the factions of the PAIGC. Vieira beat Malam Bacai Sanhá in a runoff-election, but Sanhá refused initially to concede, claiming that the elections have been fraudulent in two constituencies, including the capital Bissau. Despite reports that there had been an influx of arms in the weeks leading up to the election and reports of some ‘disturbances during campaigning’ – including attacks on the presidential palace and the Interior Ministry by as-yet-unidentified gunmen – European monitors labelled the election as “calm and organized”.